Every year, we try to bring you something new, something fresh and something greater to wow you! And this year, we are over the moon to be able to have the HMS Heron Royal Navy Volunteer Band take part in Buckham Fair 2017 to add some extra flair and grandeur to the day. “Our band is a friendly, enthusiastic and progressive wind ensemble which performs as a concert band and marching band. Its members are drawn from serving and ex-serving members of the Armed Forces and civilians from the unit and local area. The repertoire is common to most concert bands and includes popular classics, overtures, film music, selections from West End shows, military marches and contemporary works. It is constantly refreshed with new and challenging pieces. The band meets on Monday and Thursday evenings from 7.30pm to 9.30pm at RNAS Yeovilton, near Ilchester. It prides itself in participating in a wide variety of engagements not only to support the establishment and the local area but also around the UK and abroad. Although a busy and hard-working band, time is always found to socialise together in addition to music-making. Trade stands for Buckham Fair sold out! We are thrilled to announce that once again, all possible trade stand and food stand spaces for Buckham Fair 2017 have sold out! And this year, we have such a huge abundance of new and exciting exhibitors and food producers attending the event that as we sit here, we’re already creating our Christmas Lists while our tummies rumble in anticipation. From the seafood to the Thai, from the Med to the BBQ, from the Vegan to the Sweet-tooth – we have something for everyone and are so excited to be able to offer all of our visitors a proper selection of some of the best that the South West has to offer. Our Artisan, Craft and Trade stands are all booked up too – and we look forward to welcoming back some familiar faces, and waving a wonderfully welcoming hello to the new ones. If your application has been successful, then we will be in touch over the next few months with more information. We will be sending out your trade pack which include everything you need to know about the event, getting here and setting up. As we know, sometimes things don’t always go according to plan – which means that there may be a situation where a Buckham Fair exhibitor is no longer able to attend the event. That’s when we revert back to our waiting list of exhibitors. If you have missed the chance to exhibit at 2017’s event, but you’d like to be entered onto our waiting list, be sure to get in touch with us, and if an opportunity does present itself, we’ll be in touch. Huge thank you to all of those who applied to attend Buckham Fair 2017. If it wasn’t for limited space, we’d love to have you all! Dorset solicitors Kitson and Trotman are this year’s main sponsor of the popular Buckham Fair, which takes place on Martin and Philippa Clunes’s land near Beaminster in August. It’s the third year that the firm – which has offices in Bridport, Beaminster, Lyme Regis and Weymouth – has supported the event. 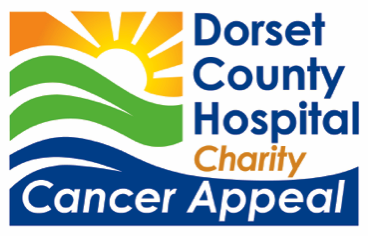 This year’s fair, on Sunday 20 August, is in aid of Dorset and Somerset Air Ambulance. The charity receives no direct funding from the Government or the National Lottery and relies entirely on the generosity of the public for support. Since its launch in March 2000 it has flown more than 11,000 missions. It is tasked by the Ambulance Service through the normal ‘999’ emergency process and can attend up to eight or nine incidents in a single day during the summer months. In 2016, Buckham Fair raised a record £90,000 for Weldmar Hospicecare Trust. Martin Clunes said: “Last year, Buckham Fair saw more than 15,000 visitors walk through the gates. We had 121 traders exhibit and over 100 individuals and businesses who sponsored, volunteered, supplied and supported the event – all for the sole purpose of raising as much money as we could. “And this year, we intend to grow on that and continue on with our goal to benefit the Dorset and Somerset Air Ambulance – a cause so incredibly valuable to so many of us and a team of people who are working so hard, every day, to save lives. Richard King said: “We have been involved in Buckham Fair for several years. We are joint sponsors of the Rescue Dog Championship, which involves a number of contests around the area, culminating in the championship at Buckham Fair. “Every year, Kitson and Trotman supports various local events, including The Melplash Show, Beaminster Festival, Bridport Literary Festival and The Henry Smith Ball, Cattistock Countryside Show, Bricky Horse Trials and Lyme Regis Lifeboat Week. A sponsorship opportunity worth caring about. Buckham Fair has been running for a number of years, and every year, we get bigger and better – and it’s all in aid of the incredible charities that we support. In 2016, Buckham Fair saw more than 15,000 walk through the gates, we had 121 traders exhibit, we had over 100 individuals and businesses who sponsored, volunteered, supplied and supported the event – all for the sole purpose of raising as much money as we could for our 2016 charity, Weldmar Hospicecare Trust. And that we did. We broke a record and raised £90,000. Being part of this huge achievement, and being involved in a cause of so much importance, is probably one of the biggest sentiments shared by Buckham Fair sponsors – both corporate and personal. This year, we’ve added an opportunity to our £150 (or £200 for 2 people) personal sponsorship package – and that is an invitation for 1 (2) to attend the VIP Buckham Fair Sponsors Reception on the Saturday evening before the event. This year, the reception will be held on 19 August 2017. If you’re a business looking to support a worthy cause, and join the ranks of other businesses already leading the path in growing and developing the community, then a corporate sponsorship package is the one for you. We are ever-thankful for businesses who believe in supporting local community events like Buckham Fair who help us to achieve our goal in raising as much as possible for the charities that we support. 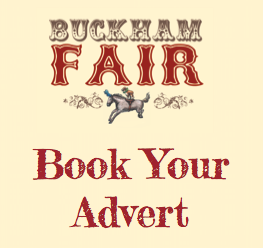 If you’d like to know more about sponsorship at Buckham Fair, click here. For those who have visited Buckham, you would no doubt be aware of our wonderful classic car display. From Moggies to Mopeds, Austins to Anglias – our classic car exhibition, organised by Fair favourite Nick Aplin and his team from the Transport of Yesteryear motor group, has been a much loved tradition for many a visitor – young and old, 2-legged or 4. And as the event grows year by year, we are often asked by our visitors how they, too, can become part of the classic car display. As this part of the event is coordinated by Nick and the motoring club – any visitor who has an interest in bringing their own classic car to the event, and be part of this display, can contact the Buckham Fair team through info@buckhamfair.co.uk. We will then put you in touch with Nick who can coordinate further details with you, and confirm space availability within the display. As you will appreciate, the fairground has limited space – which means that any interested visitors will need to get in touch before the event. Get your forms in quickly. You’ll be notified by 30 March as to whether your application has been successful or not. Buckham Fair 2017 is proud to be held in aid of the Dorset & Somerset Air Ambulance services. As many of our faithful followers know, Buckham Fair is not just a fun day out but rather, a way to influence and support the services in our community who are, daily, making a different to people’s lives. Working on a rotational basis, Buckham Fair chose the 3 charities, namely Julia’s House, Weldmar Hospicecare Trust and the Dorset & Somerset Air Ambulance Services specifically because all of us, at some point in our lives, would need the assistance (whether directly, or for someone we love) from one of these charities, and 2017’s event is being held in aid of the wonderful services provided by the Dorset & Somerset Air Ambulance Teams. “Our operational costs are over £2 million a year and the approximate cost per mission equates to £2,500. With public support we are also able to purchase specialist pieces of equipment that aid our paramedics’ training and help to save lives across the two counties. “In 2015, we flew a total of 675 missions. Dorset and Somerset Air AmbulanceThis is an increase of 11% on the previous year. A total of 326 missions took place in Somerset and 302 in Dorset. The 47 outstanding missions took place on the borders of our neighbouring counties: Devon, Hampshire, North Somerset and Wiltshire. 60% of our missions were to patients suffering from trauma, 39% had symptoms of a medical nature and we provided 7 hospital transfers. We flew a total of 162 missions to road traffic incidents (24%), 124 missions (18%) to someone suffering a cardiac arrest, 92 incidents where someone suffered a fall (14%) and 82 sport/leisure incidents of which 43 (52%) were equestrian in nature. A wonderfully Happy New Year to you. 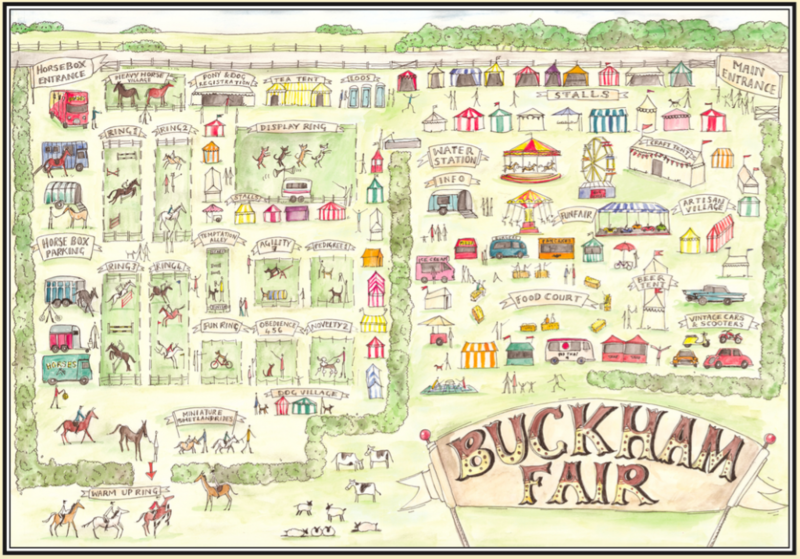 We hope you have had had a joyous start to 2017 and that your plans this year definitely involve Buckham Fair! With Christmas and the busy season behind us, we now turn our attention to this year’s event, with our first committee meeting of the year taking place within the next few weeks to kick things into action. We have received several enquiries about exhibition stands at this year’s event – for which we are so thankful! Applications for stands at the event this year, open in February. We will ensure all the necessary forms are uploaded onto the website so do keep an eye on social media and the website for updates. In the meantime, be sure to acquaint yourself with exhibiting at Buckham Fair by reading more here. We look forward to being in touch soon. Until then, we wish you all the very best and look forward to welcoming you to a new and exciting 2017.